A double cheeseburger topped with panko-crusted deep-fried jalapeño peppers. 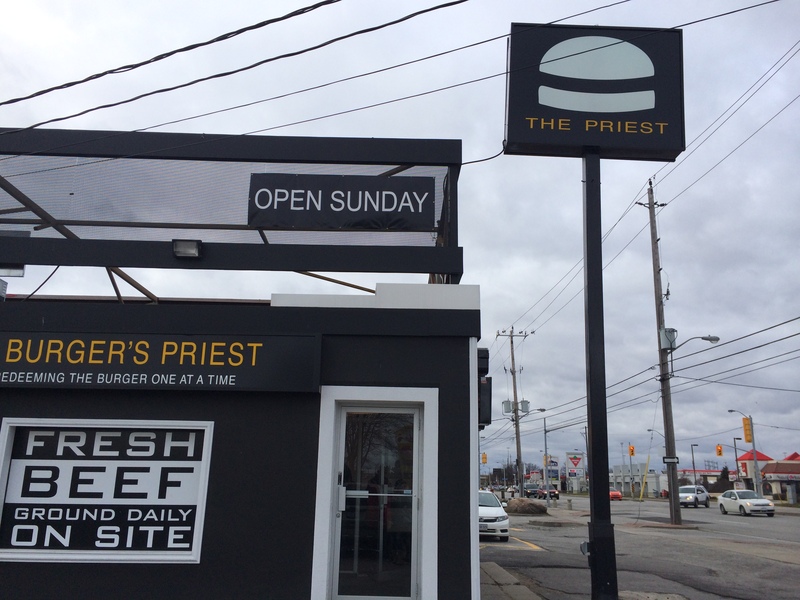 I have been hearing about how delicious the burgers at the Burger’s Priest in Toronto are for years, and have been itching to try one. I finally got the opportunity over the holidays while visiting my family for Christmas. Regardless of its unusual middle-of-nowhere location on the Queensway, the Burger’s Priest was packed to the gills at 11:30am on boxing day. There were a ton of burgers to choose from and my husband found even more on the secret menu (accessed by a “skill-testing” question regarding Noah’s Ark at http://www.theburgerspriest.com/secret-menu/). My favourite burger on earth is topped with deep-fried jalapeño peppers, so I went with the ‘Holy Smokes’, a double cheeseburger with panko-crusted deep-fried jalapeños and all the fixings. 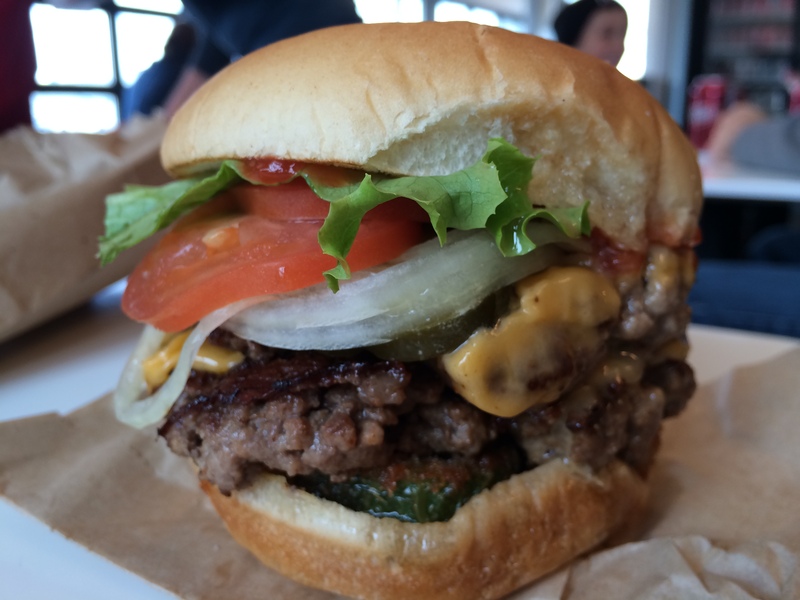 Despite the hype (which can kill even a good thing), this burger did not in any way disappoint. The bun was perfect; soft and delicious with a buttery toasted inside that kept the sandwich intact. The crunchy panko-crusted japaleños were surprisingly spicy but the double patty and veggies tempered the blow perfectly. The ground beef was incredible, soft without falling apart and delectably spiced. I will definitely be coming back! Thanks Liz! I got a kick out of it as well. 🙂 Clever and super tasty!